There is no question in my mind that girls at the Yearning for Zion Ranch (YZR) in Eldorado, Texas suffer sexual child abuse. The religious doctrine of the Fundamentalist Church of Jesus Christ of Latter Day Saints (FLDS), a group that broke from the Mormon Church some seventy years ago when the church denounced plural marriages, preaches that in order to get to the highest level of heaven, a man must have at least three wives. Girls as young as 13 years of age are married off to men 40 or 50 years their senior. Girls are looked upon as a means for the men to achieve their so-called heavenly aspirations and as baby-making machines. What hasn't been so evident is the abuse against the boys in this group. According to Family and Protective Services in Texas, based on discussions with the boys, the agency is currently investigating the possible sexual abuse against young boys in the polygamist sect. I can't imagine why this would shock anyone; why would the FLDS reflect statistics that are any different than that of the general population, where 1 in 4 girls and 1 in 6 boys are sexually abused. But more recent studies are beginning to show that the number of boys who are sexually abused is at par with that of girls. Whether or not there is provable sexual abuse against the boys in the FLDS remains to be seen. Beyond sexual abuse, whether it is against boys and/or girls, the children grow up sheltered and deathly fearing society outside of the sect. They are conditioned to believe that the rest of the world is populated with demon-like people who kill babies by grabbing their legs and slamming them up against trees; demon-like people who inflict only pain and suffering amongst one another. The men, and ultimately also the women who are also indoctrinated as children into the polygamist way of life, raise the children to assume only their religious culture, a culture that systematically abuses girls and grooms boys to become future abusers. Why would the boys in the community (and girls, as well) believe any differently when their exposure to the outside world is strictly through the rhetoric of the men who are at the helm of the group, when decisions are made at the whim of a man that the members look upon as a prophet? That prophet and other male church leaders control the finances and the politics. They determine who gets married and to whom. They control virtually all the inner workings of their polygamist community. Men take many wives—some of whom have more than a dozen; one of whom is reported to have 21—which means that in order for the community to prosper, there must be more girls than boys. The women do all the domestic chores, but their primary purpose is to ultimately give birth to as many babies as possible in their lifetime. So what happens to the boys when there are too many males in their commune? Based on interviews with young men, if there isn't a place for these adolescent boys within their tight-knit society, they are thrust out of the community. The adolescent boys are ill-equipped to cope with the outside world. They are forced to leave the sect with the clothes on their backs, with little, if any money, and not even the most basic skills on how to cope in the outside world. They are fearful, distrustful, and unprepared; yet they are left to fend for themselves. It's not just the girls who are brainwashed; the boys are too. They are programmed to believe that girls are for one purpose. They are conditioned to blindly accept the notions of someone who is a self-professed prophet who believes girls as young as 13 are meant as possessions for males, meant for sexual gratification and baby-making. Then, when the group is threatened by males who's number are too great to keep the chain of wives continuous within their sect, they are unsympathetically cast out without even so much as the most basic skills required to support themselves. So let us not forget the boys who are raised in polygamist sects such as the FLDS, because they too suffer child abuse and neglect. 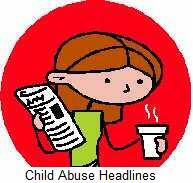 Offer your comments to "Boys Suffer Child Abuse in Polygamist Sect" at the link below this child abuse article.